We invite you to consider sponsoring the Hatfield Broad Oak 10 K Road Race. Now in it’s 34th year, the Broad Oak 10K has become a very popular road race and attracts runners from across the country. 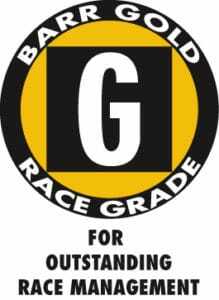 We have now reached Gold BARR Status for this year, which means we have achieved the highest standards of race organisation & provision set by the British Association of Road Races. This is all down to the dedication of the Race Committee and the generous support of our sponsors. With this higher standard comes a higher profile, which is why we are looking for new sponsors to partner with us in putting on this prestigious event. This has always been a community effort, and we believe that the fantastic sponsorship opportunities we offer should remain exclusive to businesses and organisations in the local area. With 1500 runners and all the spectators who cheer them on, it is an opportunity not to be missed. Please look over our sponsorship proposals here, further information about the race and our sponsorship pledge form. We do hope that you will consider partnering with us, and join us on race day, Monday the 27th May 2019.